A ferry has operated across the mouth of the Cromarty Firth between Cromarty and Nigg for centuries. Cromarty lay on the main coastal route north from Inverness, and formed a key staging post in the pilgrimage undertaken by many to the Chapel of St Duthac at Tain. The Cromarty Rose, continued to provide a summer-only service on the route until 2009. She left in February 2010 to take up service in the Bristol Channel under a new name, the Westward Ho. 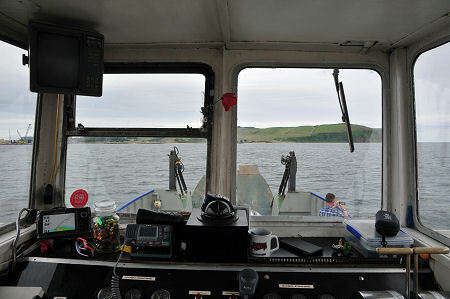 The service between Cromarty and Nigg was resumed in the summer of 2011, with a new operator using a new ferry, the Cromarty Queen, which had been built for the route by Southampton Marine Services. 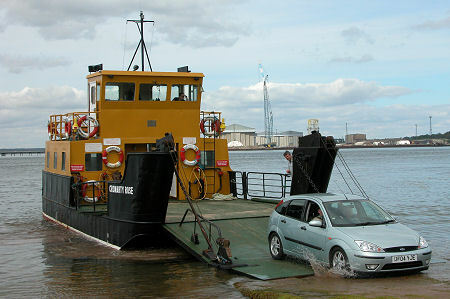 The new ferry could take four cars as opposed to its predecessor's two. 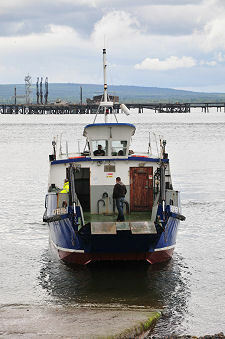 In May 2015 it was announced that the berth used by the ferry in Cromarty harbour was no longer available, and the service would not operated during the 2015 season. The Cromarty Queen now operates a service linking the island of of Tanera Mòr in the Summer Isles north west of Ullapool with the mainland. 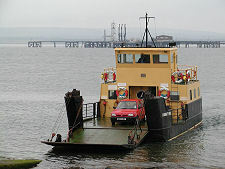 In June 2016 Highland Ferries took over the operation of the route, using the Renfrew Rose. Though new to the route, this ferry had been built by MacCrindle Shipbuilding in Ardrossan, like the Cromarty Rose, though a little earlier, in 1984. 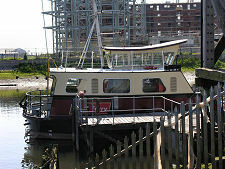 She was built for the Renfrew to Yoker Ferry service across the River Clyde, and served there for 26 years until 2010. With her sister vessel, the Yoker Swan, she was then replaced by a smaller ferry, and the pair set sail for Ireland, where they took up the ferry route between Burtonport and Arranmore island in County Donegal. The Renfrew Rose provides a half hourly service in each direction during the summer months. 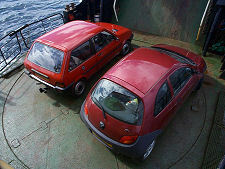 Accounts differ as to whether she can carry two or three cars: we only saw two being carried, nose to tail rather than side to side as on the Cromarty Rose. 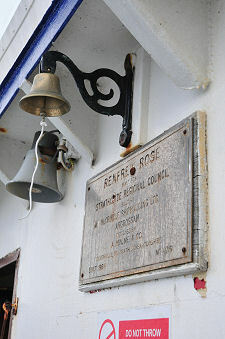 And unlike the old Cromarty Rose, the Renfrew Rose does not have a turntable on the car deck. This means that cars have to reverse on or off: it appears to be a matter of personal preference which. With no service being operated in 2010 and 2015, it is very welcome that it resumed in 2016. 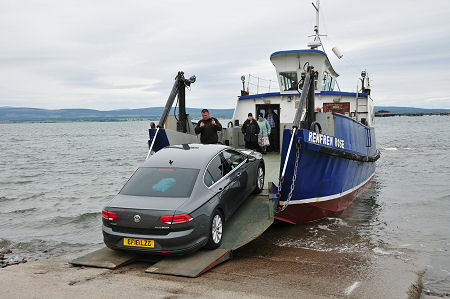 The Cromarty to Nigg Ferry is now the only vehicle ferry in operation on the eastern side of Scotland. Its presence and continuing operation adds a great deal of character to Easter Ross. With reasonable roads, the case for using it when visiting is not overwhelming in terms of time or cost: but it certainly is in terms of adding interest to the experience of a visit to the area.